Set of two (2) 14K companion necklaces. 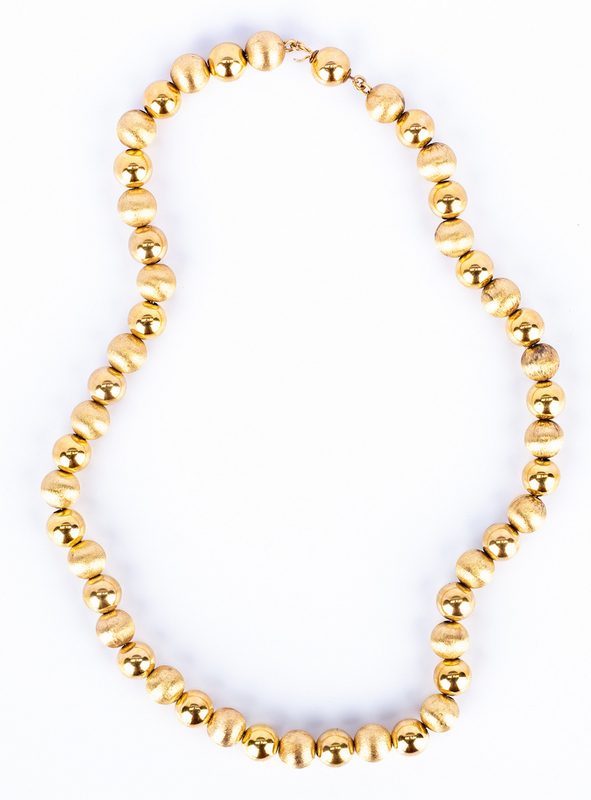 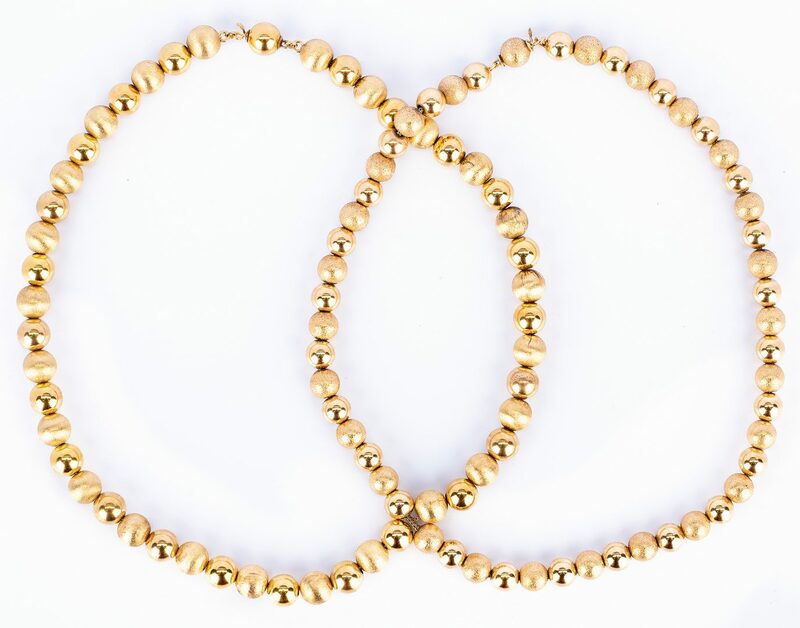 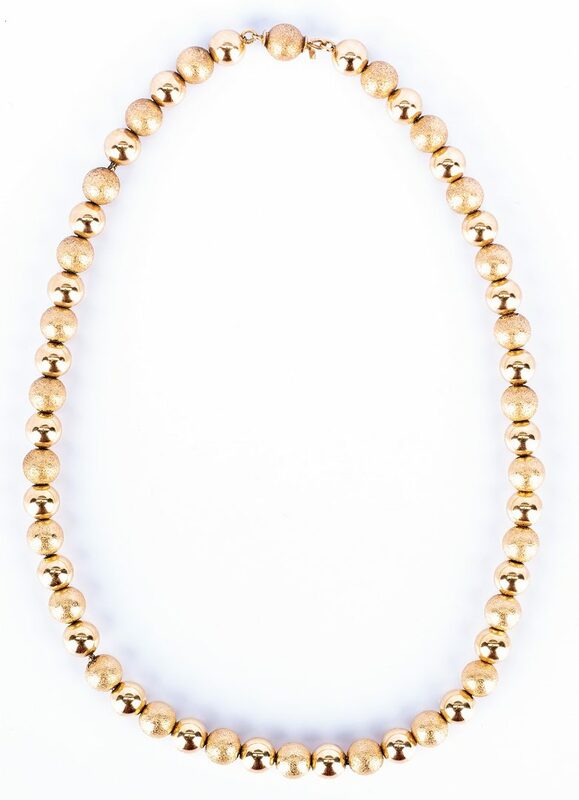 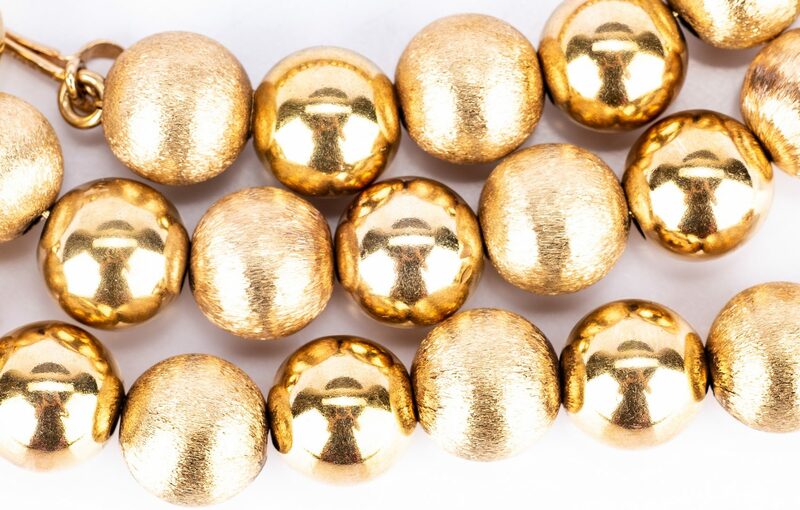 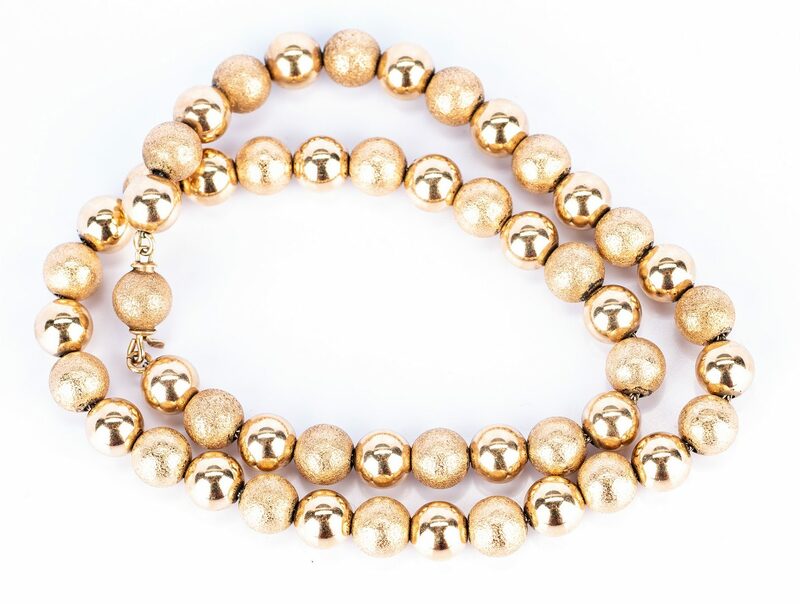 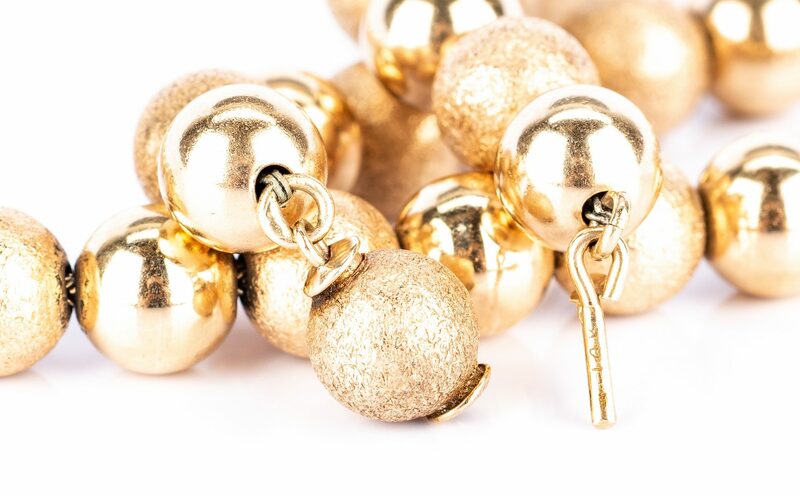 1st item: 14K yellow gold alternating satin and bright finish 7.10 mm bead necklace, marked 14K on clasp, 14-5/8" L, 30.2 grams. 2nd item: Companion 14K bead necklace to above item with 8 mm beads, marked 14K on clasp, 15" L, 21.2 grams. 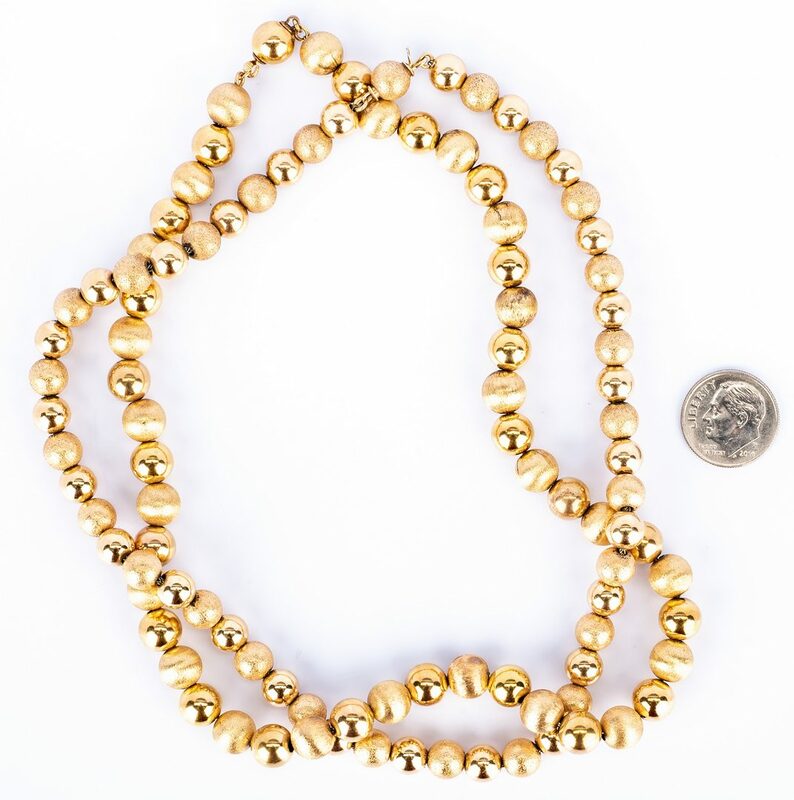 51.4 grams total/2 necklaces. CONDITION: Very good condition.